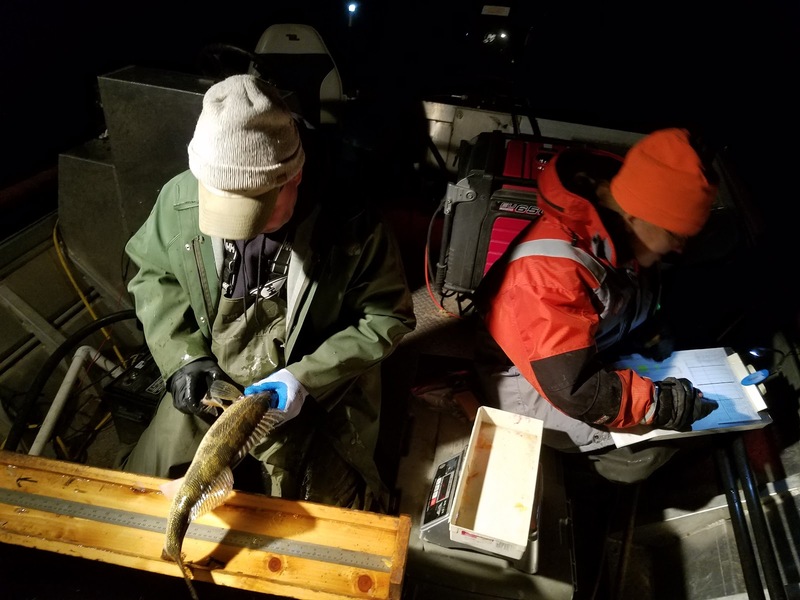 Earlier this week I had the opportunity to help DNR fisheries biologists in the Guttenburg area with research on walleyes and saugers. It was a shocking research project where fish are shocked, kept in a tank, measurements taken and fish released back in the Mississippi River. The Department of Natural Resources spend countless hours researching, collecting data, and managing the wildlife in the state. Without this department, our trips to the outdoors would look very different. I have some personal friends that work in the department and they have taught me many things that the department does "behind the scenes" to ensure good hunting and fishing opportunities. For example, the testing I was involved with takes place for 2 weeks in October during the evening hours. The biologists commented that it was difficult to change their family schedules they had from 1st shift to 2nd shift for a couple of weeks, all for the betterment of the Mississippi River. However, the study is key to monitor the growth of the species, so it was just another day for the employees. The actual research that night included shocking walleye and saugers to gather data on length, weight and testing dorsal fins for aging. Dorsal fin samples of all sizes of fish were taken that night to be studied at another time to ensure proper growth rates of the walleyes and saugers. This helps the DNR make sure fish populations are healthy and growing at the correct weights. The study also helps the DNR set daily limits on fish catches as well, which is something they do not plan on changing anytime soon. 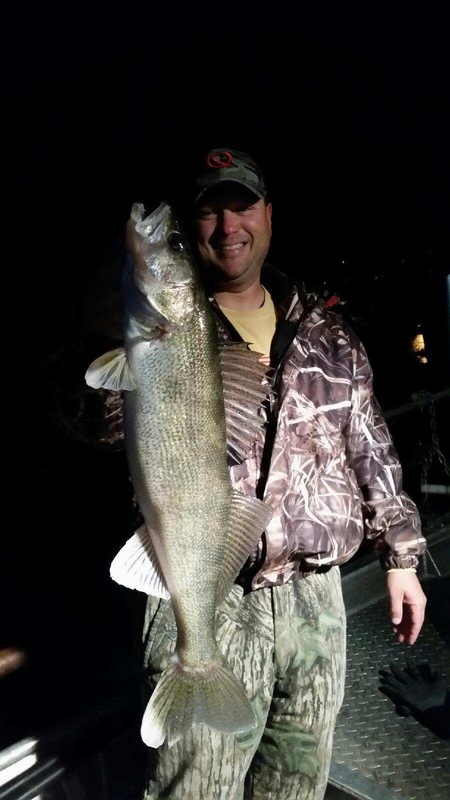 The big river is very healthy, and so is the walleye/sauger population. A huge thanks to the DNR and the many different ways they help us outdoors people enjoy nature and all the creatures that swim, fly and walk in our nature. 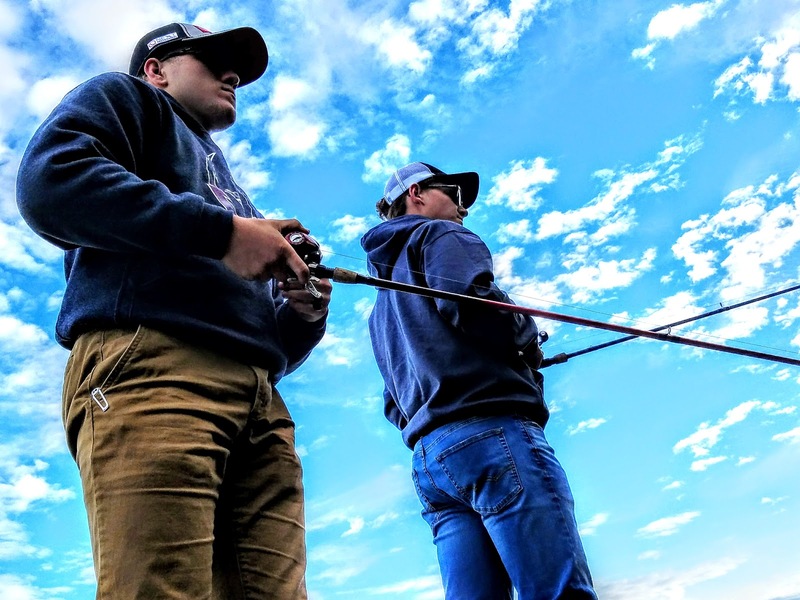 High School bass fishing has been around for about a decade. However, it has only taken a steady stand in Iowa for the past 3 or 4 years. The past winter the kids of Independence showed enough interest and the Indee High School Bass Club was formed. The club is a Bass Nation club, which links them to the largest organization of bass anglers in the world, which naturally is call BASS. Simple and to the point. The organization as well as the Indee Bass Club is all about bass, where they live, how to catch them and what to throw at them. It is a constant search that has consumed me since a very early age. myself, being in the field of education, I had no idea that in such a short time we could put together teams to compete at a state level and do well. 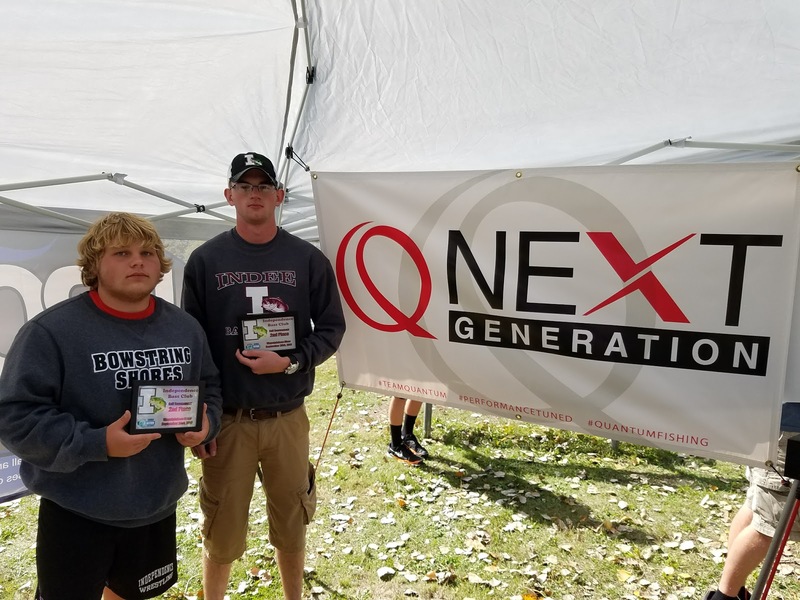 Do well is exactly what the Indee Bass Club did this past Sunday at the Iowa BASS NATION State tournament. Indee had 3 different teams compete, which includes two club members and a boat captain each. 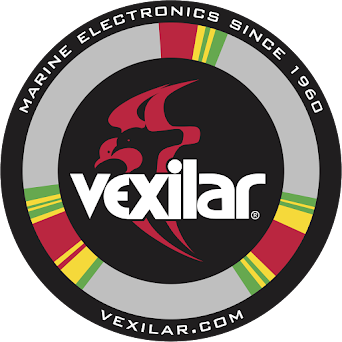 Students are not allowed to drive the gas engines during tournaments, but do control the electric trolling motors to maneuver into fishing and casting zones. 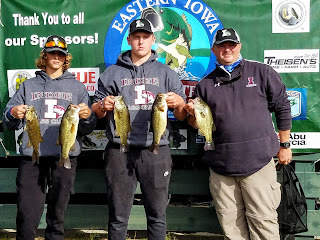 All three teams impressed their boat captains and all caught a few dozen bass each. However, at the end of the day the scales never lie and a team had to be crowned the state champs. Twenty teams from all over the state competed in the tournament, including schools like; West Delaware, Johnston, Janesville, North Scott and several Cedar Rapids teams. The Independence team of Cyrus Butters and Parker Sweeney, captained by Kevin Christensen, came out on top of the leaderboard when all was said and done. They had 5 keeper bass that weighed 14.43 pounds to take the title. 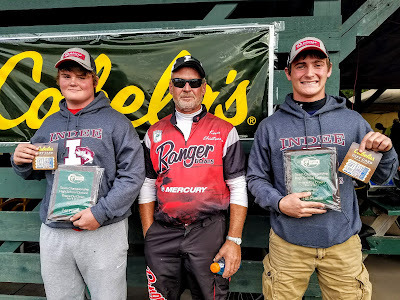 Brodi Wilson and Peyton Lolwing, captained by Dave Wilson, took 7th place with 5 keeper bass that weighed 9.45 pounds. 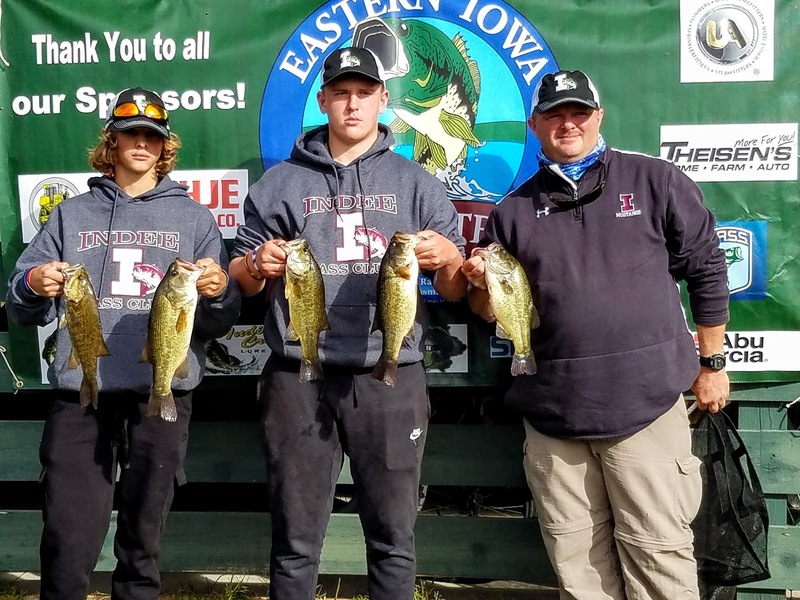 Vaughn Nabholz and Zach Davis, captained by Todd Reed, used every minute of the day catching bass, but none made the 14 inch mark, allowing them to keep them. It was an unbelievable day for the kids, as each and everyone of them learned so much about fishing, and the Mighty Mississippi River. Kids reported catching their bass on a variety of baits. The champs boasted that Hot Rod Baits Jigs (Wig's Jigs) worked the best, hot Rod Baits tubes, spinnerbaits and Strike King lipless baits all caught bass and helped the kids reel in bass all day long. Congrats to the group of 6 boys and 3 captains that made this day possible. 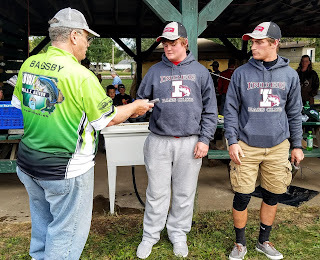 Also a huge thanks to the Iowa Bass Nation Youth director Joe Bagsby and Shanda Heath for putting the tournament on each year for the high school teams. 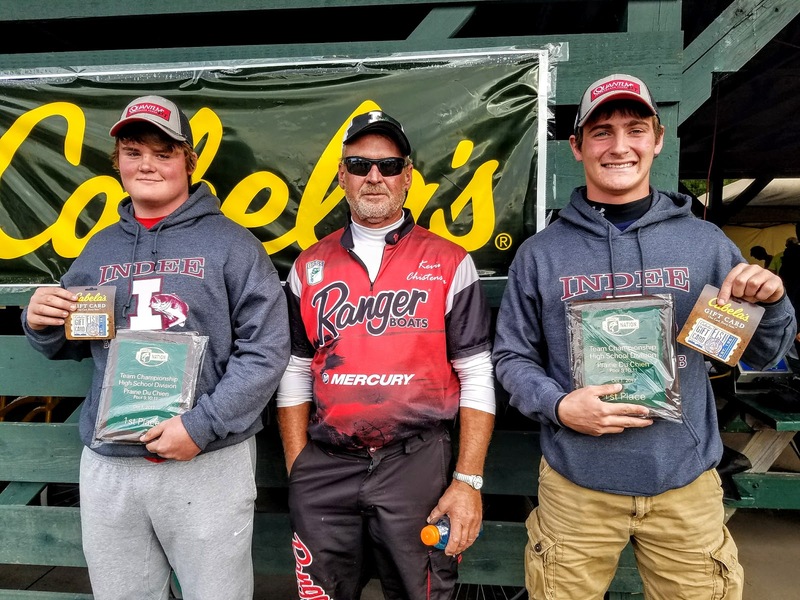 The competitive season is over for the Indee Bass Club, but students will continue to learn through club meetings held each month before regular school hours. It is amazing how many kids will go to school EARLY to talk and learn about bass fishing! 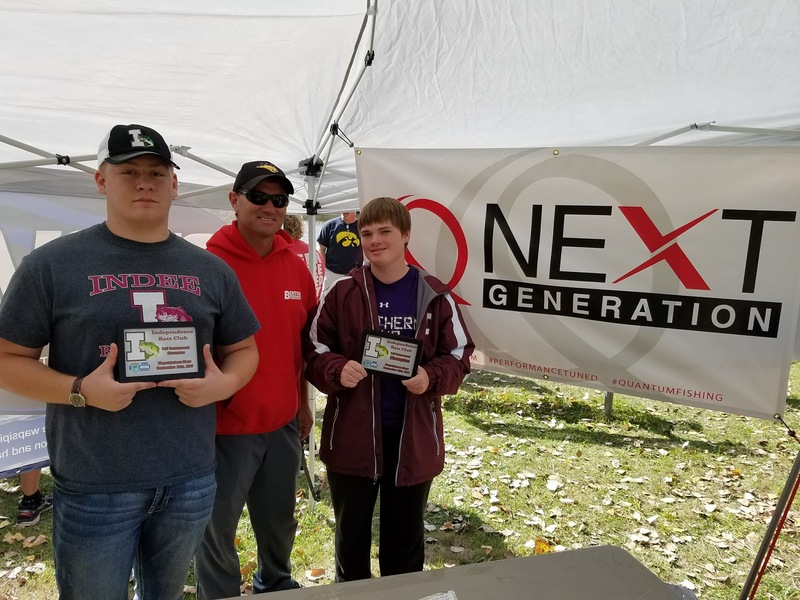 The Independence High School Bass Club has been around since February of this year, however we have been able to host a few memorable events for the kids. Being the team coach, I work and listen to students and the things that they consider important to leaning more about the sport. I reported on the May tournament on the Wapsi, simply put the bass did not cooperate that day. However, when this event rolled around, I knew the bass of the Wapsi wouldn't resist the lures the boys had to offer. Water temperatures on the Wapsi have dropped considerably in the last ten days, and when this occurs it typically means that river bass will start to eat once they have adjusted. The bass in the Wapsi did just that, EAT! 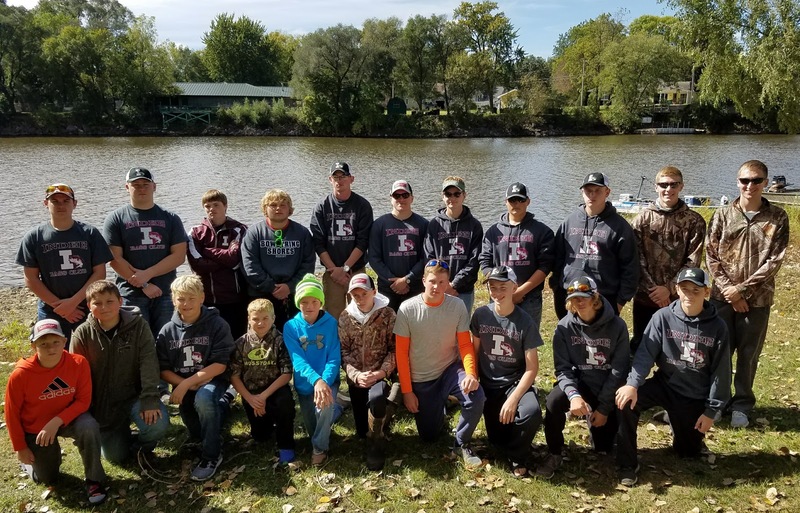 Thirty-one students signed up to fish the tournament this day and all were paired up with a boat captain from the area. I want to thank those men right now: Rick Wendling, Dan Sweeney, Randy Toale, Keith Donnelly (also an adviser of the club), Paul Schmadeke, Dave Wilson, Sean Stephenson, Ryan Roth, Keith Corkery, David Gissell, Corey Evans, Chuck Kayser, Chad Postel, and Bob Baldwin. Without these volunteers the boys would not be able to enjoy an event of this caliber. THANK YOU ALL! The day was an awesome day to fish, cool to start the day but ended up in the 70's by the noon weigh-in. Perfect for the last day of September. Of the 16 boats, 9 teams were able to find and catch at least one keeper to bring to the weigh-in. Very impressive for these young anglers, with many of them using basic tackle to try to trick the bass. It was nice to see some brand new Quantum Rods and Reels at the tournament, thanks to them for being the official rod/reel of the club! OHL/Iowa Realty provided monetary support, PROW (Preserving Recreation On the Wapsi) provided each angler with a snacks and lures to get them through the day. 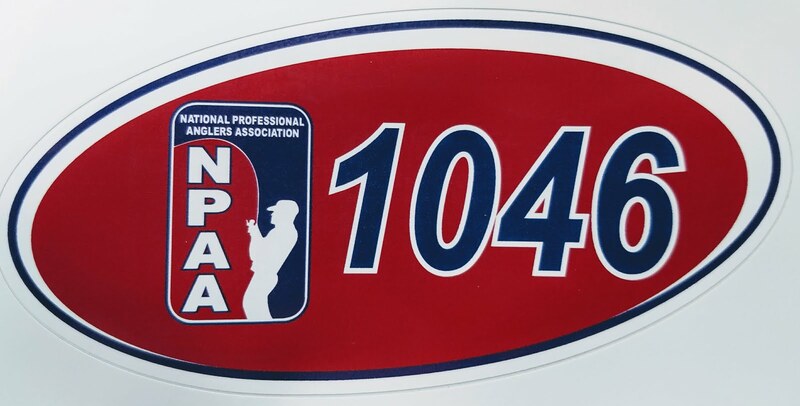 NAPA also provided a hat for anglers at the weigh-in too, a nice surprise from another local business. Hot Rod Baits Bass Series provided the weigh-in materials once again for the live weigh-in. A HUGE thanks to all the sponsors.